We Give Atlanta Residents A Stress-Free Move. Guaranteed. Is Your Upcoming Move Making You Feel Anxious? If you are like most people, your life is busy. And it can be a little overwhelming to try to juggle your normal routine while planning your move to your new home while trying to find the time to get mortgage paperwork completed, taking care of the kids, allowing time for your significant other, and designing your new home. 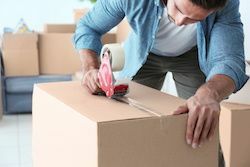 Wirks Moving and Storage has a fleet of moving trucks to best serve your needs. Both local moving trucks as well as tractor trailers for out of state moves. We offer full packing services as well as a range of packing materials including boxes, paper, tape, and bubble wrap. We offer both partial and full packing. Wirks Moving and Storage operates a 30,000 square foot temperature controlled storage facility. 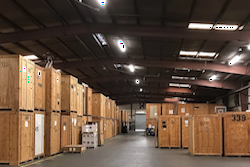 We offer long-term storage and short-term storage. 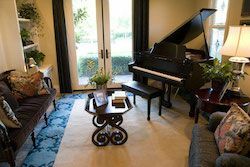 Wirks Moving and Storage has years of experience to handle your antiques, grand pianos, pool tables, crystal chandeliers, grandfather clocks and more. Listen to some of our recent testimonials below…..
Value: Knowing in advance your price with no shenanigans or price increases on move day. NO SURPRISES! Reliability: Being on time and prepared are our trademarks. On move day, we Guarantee to arrive on time when scheduled – No Ifs, Ands, or Buts. Communication: Our office staff will always keep you informed at each important milestone and are always available to respond to your phone calls quickly – we even have an after hours answering service. Attitude: We understand that maintaining a great attitude is what people most remember and share with others. Assurance: Delivery of all services as promised without hiccups, delays, or excuses. We won’t make promises we can’t keep. Empathy: With over 10,000 moves under our belt since 2009, we understand how you feel. We take your stress and nervousness away. Exceptional Service: Customers vote with their money when they choose us, and we appreciate those hard-earned dollars. Since referrals are the lifeblood our company, we want our services remembered and shared with others.